Magnify around your pointer, or tint a portion of the display. Is there a better alternative to Tinted Window? 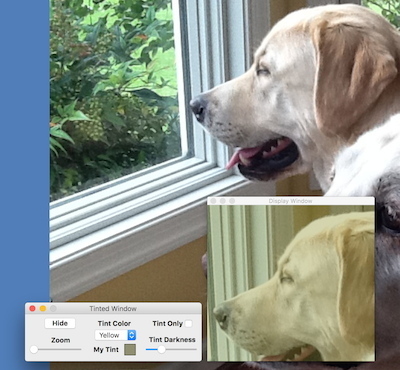 Is Tinted Window really the best app in Desktop category? 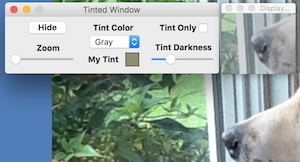 Will Tinted Window work good on macOS 10.13.4? Tinted Window was developed to help users with sensitive eyes who need a portion of the main display tinted. There are two modes: a mode to display the area around the mouse (magnified x1 - x3), and a mode to tint a portion of the display. There are four default tint colors (gray, blue, yellow, pink) and My Tint, a user-selected tint. Tinted Window is freeware. Tinted Window needs a rating. Be the first to rate this app and get the discussion started!